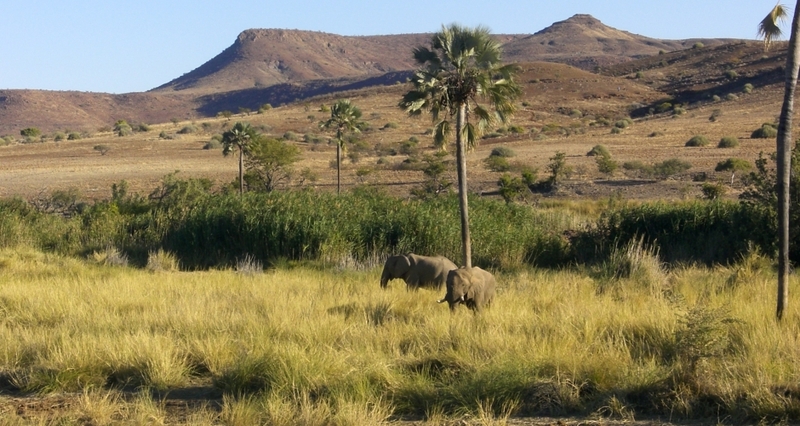 Namibia is the world-leading example of functioning private and community-owned nature conservancies supported by tourism. 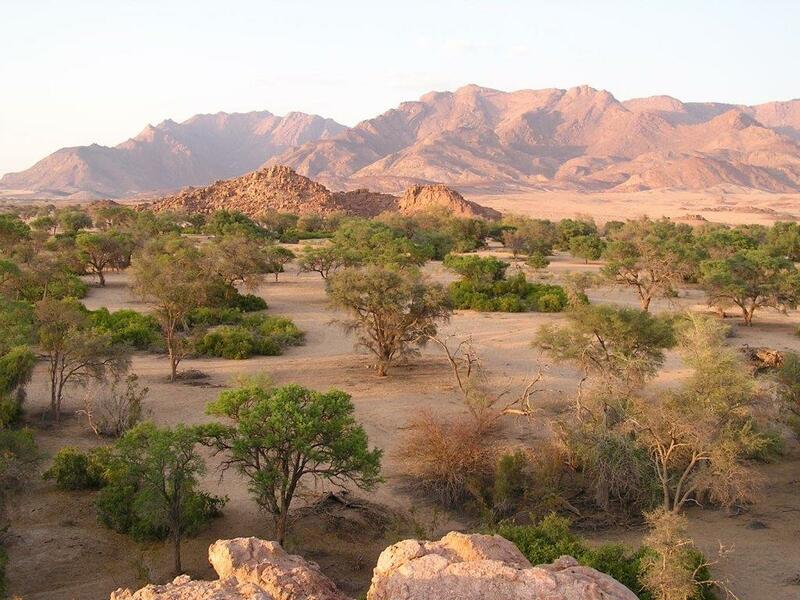 Namibia was the first African country to incorporate protection of the environment into its constitution. Today, almost half of Namibia’s surface area is under conservation management. Situated in the Southwestern part of Africa, Namibia borders Angola and Zambia in the North, South Africa in the South and Botswana in the East. 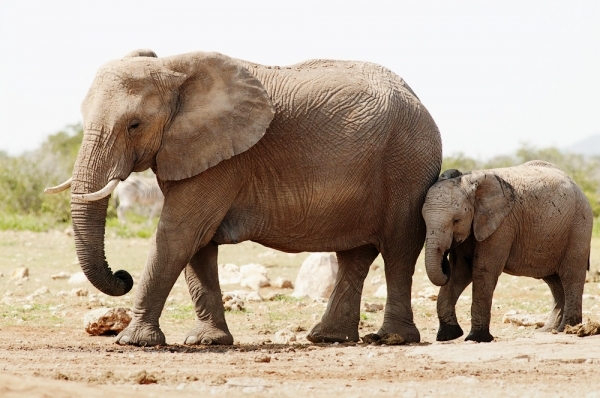 Namibia covers 824,292 sq km, and it harbours an abundance of wildlife. The country’s wide appeal stems not only from its National Parks and Game Reserves but also from breathtakingly beautiful landscapes, endless savanna grasslands, a dune-world like no other, boundless animals and the diversity of the country’s rich culture and traditions. 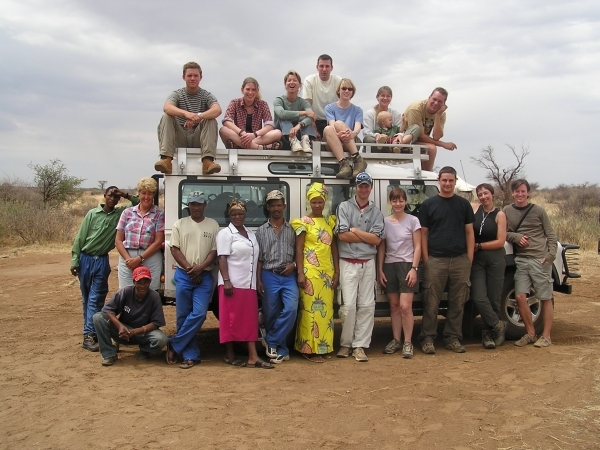 All this together offer amazing tourism options from fly-in safaris, adventure tours like mountain biking, horse-back or walking safaris to self-drive safaris, research expeditions or cultural workshops. 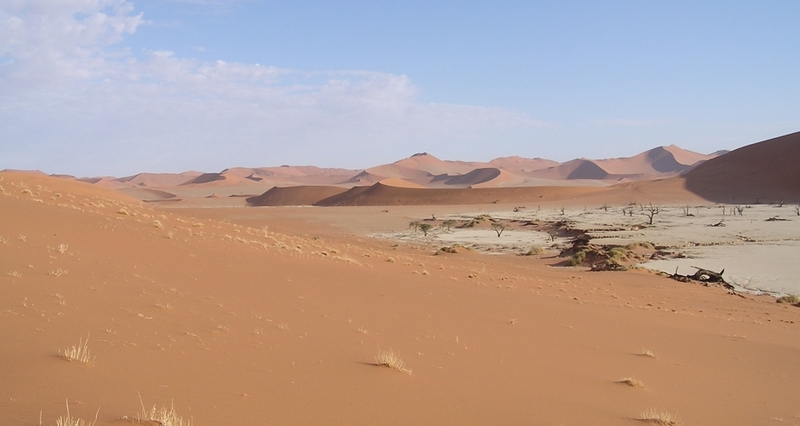 Despite the impression of unlimited space, Namibia is an arid environment with low carrying capacity for both humans and wildlife. About 20% of the total area are National Parks and Restricted Areas, 40% are communal areas and 40% of the land is in private ownership. Today, much of the wildlife lives outside protected areas on private farmland and communal land. These areas, therefore, have a crucial role to play in the sustainable management and conservation of the country’s wildlife. In former times, when farmers had few rights to use wildlife, wild animals were seen as little more than a threat to livestock, crops and infrastructure, as well as community safety. 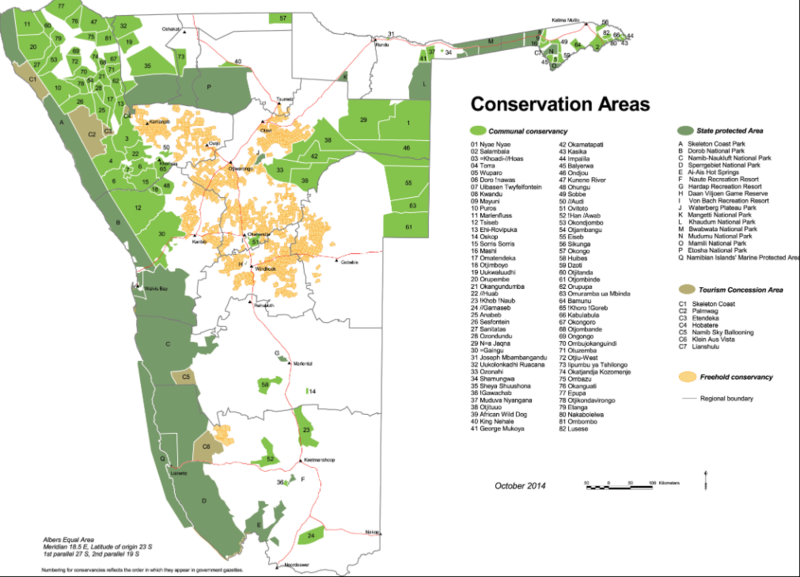 Thus, conservation management took place within protected areas only. In 1967 the commercial rights over wildlife and indigenous plants were given to Namibia’s commercial farmers. The implementation of these rights resulted in wildlife being utilised and valued (“What pays that stays”) by the private sector. People in communal areas received the same rights much later (1996-2001) when policies were adopted to promote community-based natural resource management (CBNRM). Since then the wildlife sector was also driven into a rapid growth on communal land. the government in any way. Thus, they need to function self-sufficient from the first day. Two well-established examples are the N/a’an ku sê Foundation and NamibRand Nature Reserve – see websites below. The latter one belongs to the Long Run Initiative. 1. Why do you consider LT&C an important initiative and why are you interested in membership? Worldwide tourism is going green, and large-scale success can be achieved only through teamwork. Tourism certainly plays a major role in conservation and sustainable management of natural resources. In many cases worldwide tourism has even supported implementation and development of National Parks or other protected areas. Although we can do a lot on our own, together we can reach more. 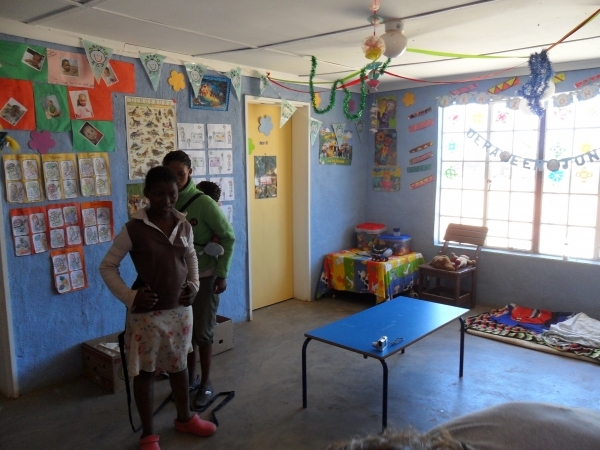 Therefore, we would like to learn from other countries and at the same time inform them about our concepts in Namibia. We feel that LT&C is an important platform to share ideas and experience in order to improve the linkage between tourism and conservation. 2. Why is your case a good example of linking tourism and conservation? Namibia’s environment is the cornerstone of its tourism industry – looking after it today ensures it is there for tourism tomorrow. 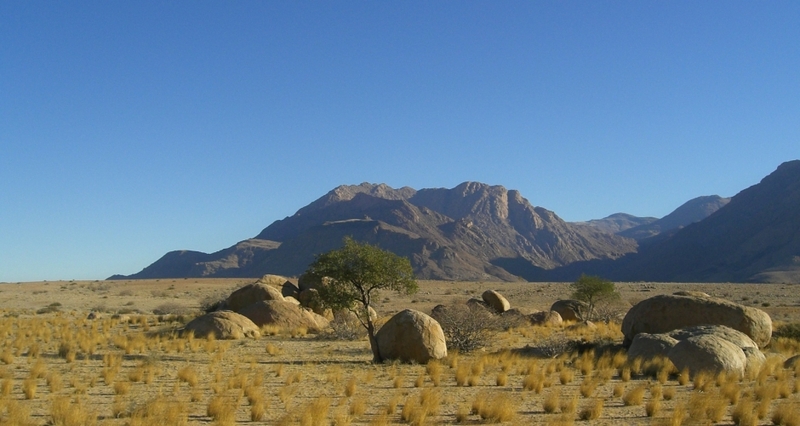 Today, about 46% of Namibia’s surface area is under conservation management. This includes national parks and game reserves (19%), communal conservancies and other community conservation (20%), as well as commercial conservancies, private nature reserves and tourism concessions (7%). Another 3% of Namibia are restricted areas (diamond mining in the Southwest of the country). Community-based tourism in Namibia is based on the joint-venture principle: private sector tourism operators join hands with communal conservancies to build and run lodges, campsites and tours on sustainable principles. 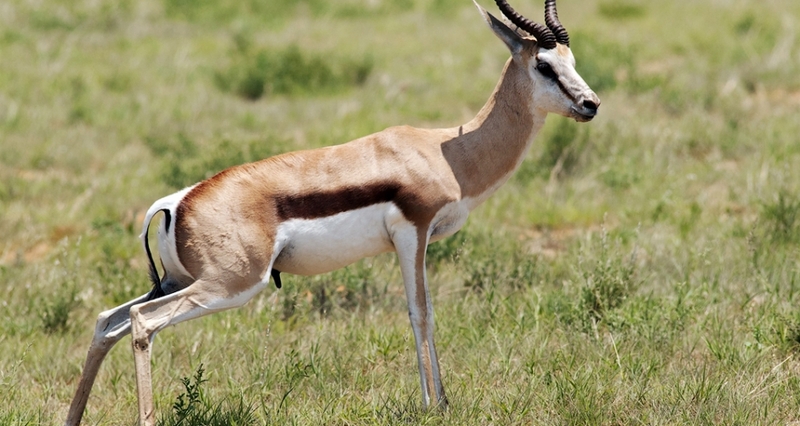 High-quality lodges and activities bring income to conservancies which protect wildlife and the environment. To live with wildlife means striving for balanced land use and a healthy environment. The game does not need to be eradicated from a landscape because it may pose a threat to crops or livestock. Wildlife can create a great range of returns that far exceed its costs. Various types of tourism such as photographic safaris, excursions, adventure tours, research expeditions and even trophy hunting are important tools to reach this goal. Namibia’s CBNRM Programme was selected as a finalist in the 2010 Tourism For Tomorrow Awards by the World Travel and Tourism Council. 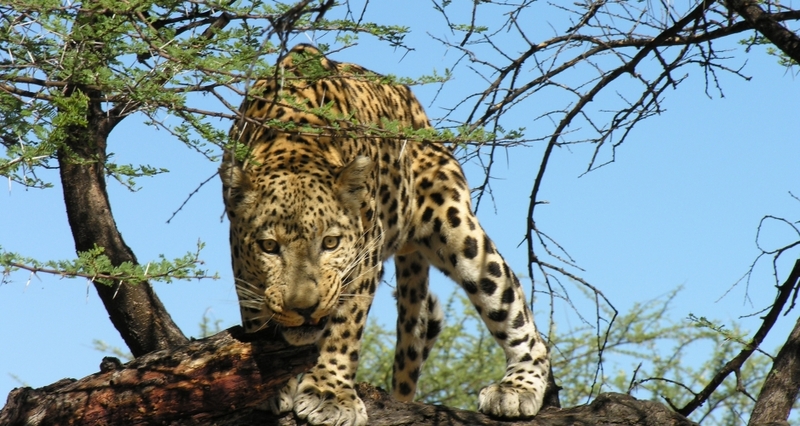 Namibia harbours various flagship species like elephant and rhino, as well as the world’s highest population of cheetahs, and it is one of a few African countries that support six species of large carnivores. 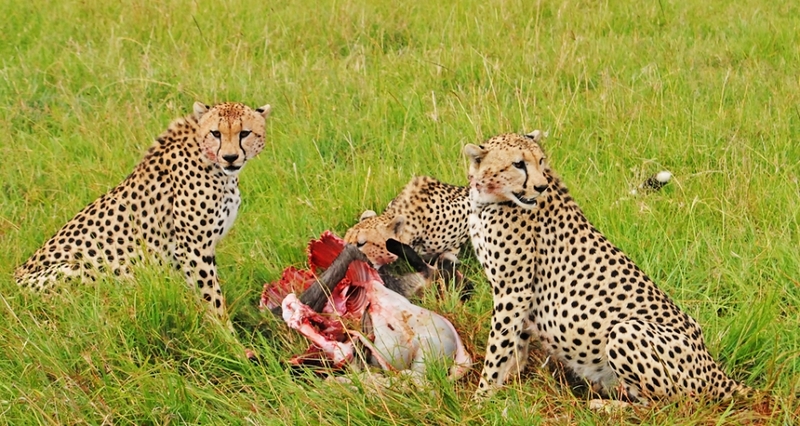 Lions, spotted hyenas and wild dogs are mainly restricted to protected areas, but cheetahs, leopards and brown hyenas still occur in areas with intensive livestock and/or game farming. Ensuing conflicts between humans and wildlife need to be solved. Nature-interested travellers contribute to various research and education programmes and they support nature conservation financially. 3. Are there plans to further improve your example of tourism supporting conservation in the future? More and more conservancies shall become self-sufficient. A substantial number of conservancies that used to be dependent to some degree on grant aid shall cover their operational costs from own income in the future. 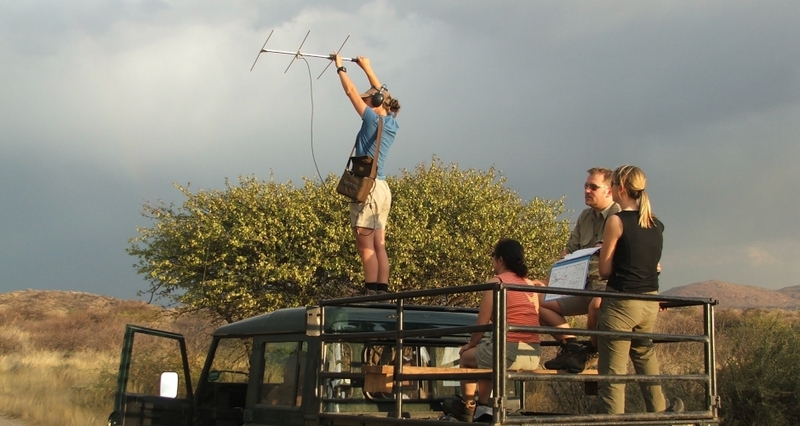 Community-based conservation may grow to a larger number of conservancies up to 90 or 100. As a result, significant further growth of tourism in Namibia shall be facilitated. Although Namibia has its entire coastline protected through a National Parks network, marine biodiversity is currently essentially unprotected. The status of two marine reserves, which cover less than 1% of Namibia’s marine environment, needs clarification and augmentation with new Marine Protected Areas. 4. How could your example be transferred to another protected area and how could your experience be shared with others? 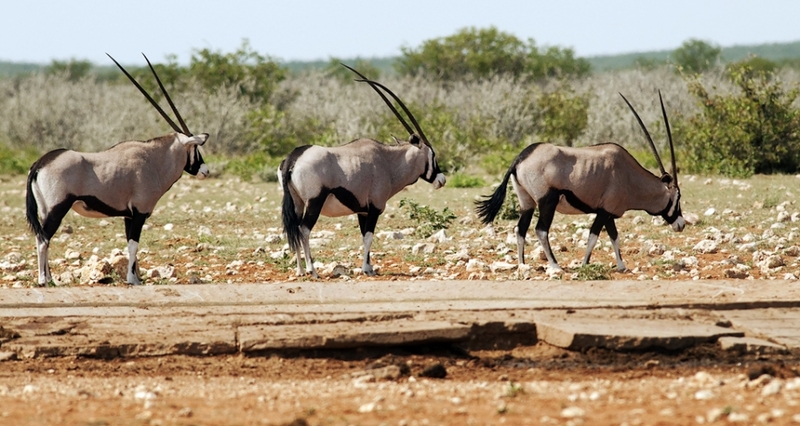 In the mid-nineties, ground-breaking legislation in Namibia laid the foundation for a new approach to natural resource management and conservation. By forming conservancies people in communal areas can actively manage and generate returns from natural resources. This supports environmental restoration, and wildlife populations have increased significantly. As a result, economic benefits to local people through tourism have grown. 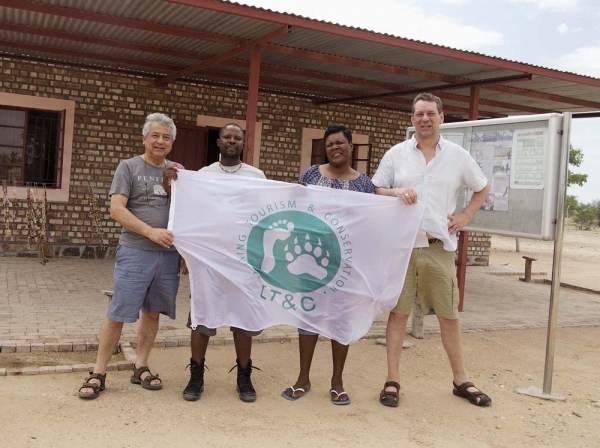 To see the happiness on the faces of the people whose lives have been improved by the Namibian conservancy programme is the ultimate testimony of success. The communal conservancy programme has taken Namibia by storm and it has become the most successful CBNRM initiative on the planet. Currently, there are 82 registered communal conservancies, one community conservation association in a National Park, 15 concessions in National Parks or on other state lands, 32 community forests, 66 community rangeland management areas and three community fish reserves in Namibia. The communal conservancy tourism sector represents a dynamic part of benefit creation within the CBNRM programme. The rapid growth of joint-venture tourism investments and the impressive benefits that are being produced by this sector are distinctly unique to Namibia. One of the main lessons from the Namibian conservancy programme is that devolving authority over wildlife and tourism to local communities as well as private farmers can work in practice. 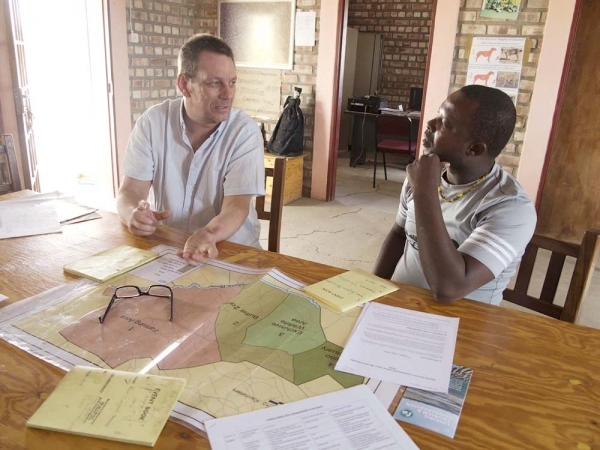 Other countries could learn from Namibia to engage visionary conservationists in the field and to enact policy changes by the government that allows rural communities to benefit from wildlife by forming conservancies. This entry was posted in LT&C Examples, News by Wenzel Prokosch. Bookmark the permalink.